Reports in MonitorWare Console can be scheduled using Job Manager. 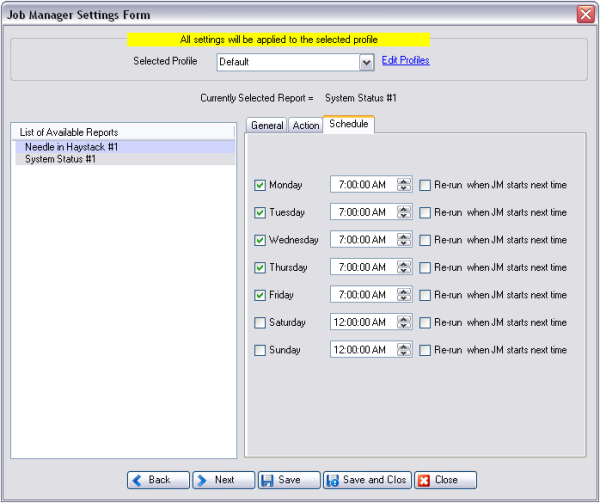 Job Manager is a Window Service that runs in the background and generates the reports according to user-defined schedule. 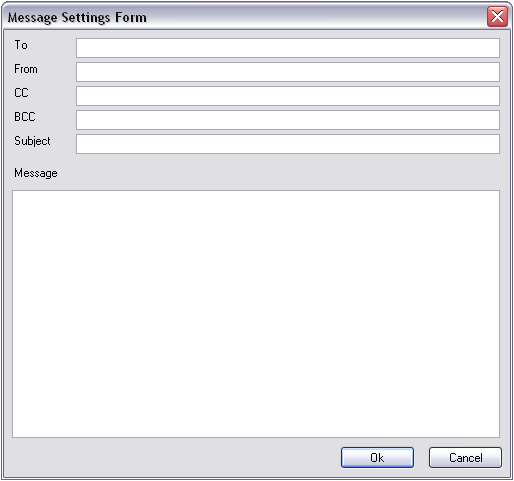 It also has the capability of sending the generated reports to specified recipients via email. The settings of this service are done from the MonitorWare Console Client. This client will only be available to you if you have a valid license for “Windows Reporting Module” or “PIX Reporting Module” or both. Once you open up Job Manager Settings form as shown in Figure 1, you will be able to schedule all of the reports (whether PIX or Windows) but only those reports will be generated whose license is valid. So, for example, you have PIX Reporting Module license with you, then you will be able to access the screen shown in Figure 1 and configure all of the reports but Job Manager will only generate those reports that are PIX and will not generate any of the configured Windows Report since you dont have the license for it. Profiles have been introduced in the Job Manager. You can associate different reports to different profiles and they will be generated according to your specified time and date. You can create as many profiles as you like in Job Manager which means that now, you can generate the same report as many times as you would like in one day. Job Manager generates those reports that you have saved in the Reporting Module by applying various filters. 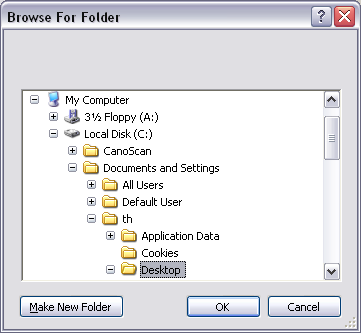 The reports that are shown in Figure 1 are those reports that had been saved using Report Manager. With Job Manager you can not only schedule the reports such that they are saved on the hard disk but also you can schedule the reports such that they are sent via email to specified recipients. 2. Click on the report that you want to schedule. In this example I will illustrate the scheduling of a saved report which I simply called “System Status #1”. 3. Click on “System Status #1” on the left hand side. 4. On the right hand side, in the general tab set the UTC offset and Job Manager Interval. If you have logged the records in the database with local time, then you dont need to set this UTC value. It will stay at 0. The Job Manager Interval can be set over here, by default it is 1 minute. This is the wake up time for Adiscon MWCJobManager. This specifed interval invokes JobManager and it looks for the scheduled report, if it’s time to run the scheduled report then the report is generated otherwise it goes into the sleep state until it’s invoked again. The settings are shown in figure 1. 6. Set the File Name Prefix. In this case, I leave it as default. 7. You have got two options over here. Either you can save the report on the hard disk or you can send an email when the scheduled time is met. 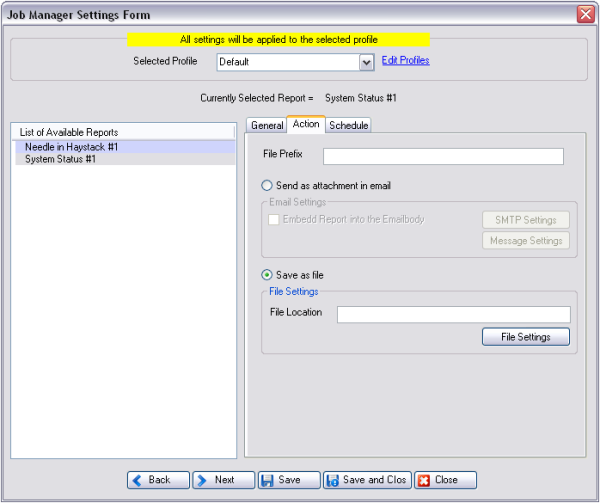 If you select “Save as file” radio button, then the “File Settings” button will be enabled and on the other hand, if you select “Send as attachment in email” radio button, then both “SMTP” Settings and “Message Settings” buttons will be enabled. You can either carry on with Step 8 or Step 9 depending upon your requirements. You can select any path over here that you feel like. But if you want to view this report on the web, you will have to create a folder under Inetpub -> wwwroot. In this case, I chose the Desktop as the specific folder. Of course you can choose this directory according to your needs. Click OK, once you have done that. Fill in these values and click OK when done. For example, you can tell Job Manager to generate the System Status report at 7:00 AM on Monday, Tuesday, Wednesday, Thursday and Friday. Whenever you come to office, you will see a complete report on your system on the above mentioned days and you can take necessary actions right away. 15. Once done, click on “Save” button. All the settings will be saved permanently. If the Job Manager Service is running, it will give you a message saying that it would restart the service so that new settings could take effect. If on the other hand, the service in the background is not running, it would give you a message if you wanr to automatically start the service. You can start the service manually by going to Control Panel -> Administrative Tools -> Services and start AdisconMWCJobManager Service.